The Land Down Under holds the highest rate of gambling in the world. Reports confirm that more than 80% of Australian adults engage in gambling of some kind. While they sure beat the stereotype which claims that Asians are those who love to gamble, Aussies have enjoyed liberal gambling laws for decades. As a result, gambling is embedded in Australian culture and ranges from chucking a few coins in the pokies at a local pub to betting on the Melbourne Cup and beyond. Australian casino players are quite fond of poker and pokies which can be found everywhere, as well as bingo (commonly known as housie) and sports betting even if not everyone is a fan. The online part of the business progresses year after year, and even though certain aspects of internet gambling are deemed illegal, there is a certain tolerance in Australian laws that allows web-based gambling operations. If you want to gamble online for real money, here is my short list of reputable online casinos that are legal and legit for you to play at. Cloudbet – if a huge bitcoin deposit bonus is your thing then Cloudbet has the largest bonus of any casinos we list. Get up to 5 BTC bonus matched at 100% and our exclusive 50 free spins on “Big Win Cat”. SlotoCash – Get 100 free spins on Lucha Libre pokie after your first deposit + get a huge match bonus! FairGo – Get 100% matched up to $200 redeemable five times! You can learn more about these casinos and more in our growing list of online casino reviews. Historians can’t seem to agree which were the first gambling activities that took place on Australian soil. Some believe it was a small horse race in Sydney’s Hyde Park in 1810, while others claim it was a game of Two-up, a coin tossing game brought to the continent by the First Fleet and convicts in 1788. The game became controversial and is now considered illegal, however, every year on Anzac day it becomes legal in New South Wales. Organised racing did start in 1810, and by 1861 one of the world’s most prestigious and lucrative horse races, The Melbourne Cup, was founded. The first slot machine came to Australia in 1953. The first Australian state to legalize gaming machines in pubs and clubs was New South Wales, in 1956. The pokies market is one of the richest branches of the industry in Australia today, some describe it as a love affair going on for decades. Some statistical results from several years ago report that there are over 200,000 pokie machines in Australia. The first casino facility opened its doors in 1973. It was the Wrest Point Hotel Casino in Hobart, which offered legal blackjack and roulette games to Australians for the first time in history. Now, there is at least one casino venue in each state or territory in AU. Aussies have recorded numerous songs about gambling, that’s how much they love it. Best Australian songs about gambling include The Jack by AC/DC, Playing To Win by Little River Band, Blow Up The Pokies by The Whitlams and Life’s A Gamble by The Radiators. No matter your favorite flavor, an online Casino will probably have your preferred choice. When observed through its regions, Australia becomes a colorful landscape of pokie lovers, poker players and horse racing enthusiasts. New South Wales, the region with the longest history of gambling in all of Australia is now the powerhouse of pokie gambling. There are approximately more than 95,800 slot machines in NSW. Western Australia is the only state or territory that bans pokies outside casinos. Everywhere else you will find pokie machines in supermarkets (Woolworths, one of Australia’s largest supermarket chains, is the biggest operator of pokies in the country), pubs, sport clubs petrol stations, and hotels. Australians put their vast lands to good use when it comes to brick and mortar gambling, but what happens when they wish to play casino games online? After all, most of Australia is a desert and people who need to cross it to get to a decent gambling parlour will rather stay home and entertain themselves on their smartphones, tablets and computers. Throughout the late 90s, the first online casinos started to emerge, offering digital casino games and remote sports betting services to gamblers across the country. The Australian government saw the need to regulate the internet betting market and did so in 2001 with the Interactive Gambling Act (IGA). The Interactive Gambling Act didn’t so much regulate the market, as it banned online casinos and imposed restrictions upon live in-game betting. The act is directed towards Australian-based gambling operators. Any game of chance, including games of mixed chance and skill played over the internet are prohibited under the IGA, as long as they are provided by someone who is physically located in Australia. It is considered an offence to provide a prohibited interactive gambling service to customers in Australia even if you’re based offshore, but in reality there are plenty of offshore gambling websites catering to Australians every day. Offshore website customers have nothing to worry about, since the legislation targets operators. No one has ever been prosecuted under the IGA, so far. There were no significant changes until 2016, when the Australian Senate passed The Interactive Gambling Amendment Bill. It went into full legal effect in September 2017, prohibiting offshore online casinos and poker sites from accepting or servicing Australian players. Should they continue to do it, they would risk large fines and penalties. However, no penalties or fines are mentioned for players themselves, and this technicality enables them to keep wagering real money at reputable offshore betting sites that are still in operation at their own risk. Australian Friends! Looking for a new Online Casino? Check these out to help you find your match! From another part of the world? We’ve got you covered as well! Aussies like to place bets on sports. Online sports betting is not included in the Interactive Gambling Act, meaning that most Australian betting shops offer internet sites. The betting market is dominated by races, as well as sports like NRL (National Rugby League), AFL (Australian Football League) and basketball. Players enjoy thousands of different bets covering races, NRL, AFL, football, basketball and world sports. The rugby league and AFL were the biggest sports for a long time. Lately, the NBA took over. Also, NFL is one of the US sports that is gaining more popularity with Australian punters. Any of the local teams seen to attract attention are mostly from Sidney, like South Sydney Rabbitohs and the Swans. Most of the online sports betting options for Australians are provided by corporate bookmakers. For example, European giants like Ladbrokes, Paddy Power and William Hill all have pages dedicated to Australian bettors. 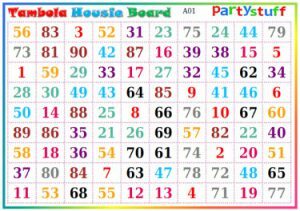 A traditional “Housie” board, played much like “Bingo”. Australians haven’t renounced their need to play casino games online after the Interactive Gambling Act. They’ve found their way to proven international operators who have provided them with safe and convenient gaming environments and quality software. 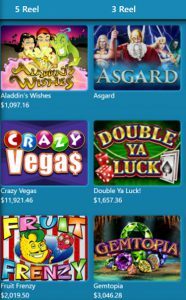 Their beloved pokies are always the most dominant at these websites, but there are plenty of other options – table games, live dealer tables, scratchy lotteries, keno, bingo and arcade games. Where precisely can Australians play these games? 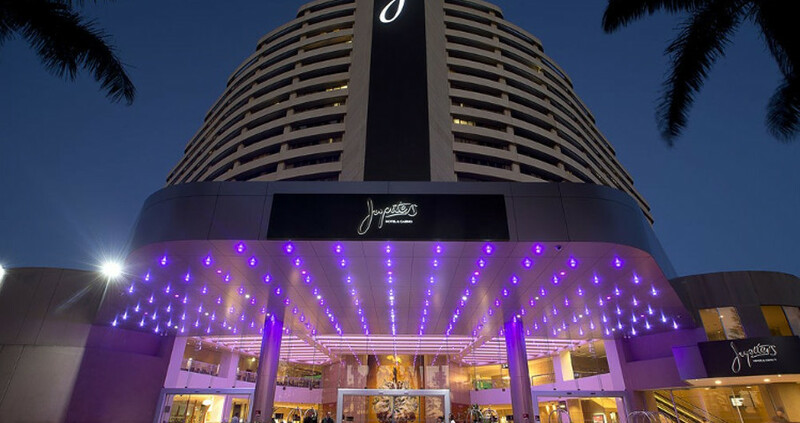 For example, Joe Fortune Casino, FairGo Casino and Slotocash are proven destinations, packed with entertaining, lucrative games and AUD bonuses. Joe Fortune Casino is operated by Betting Partners, and exclusively caters to Australians. It has an Aussie theme and a Curacao license. The wide range of games Joe Fortune offers is fascinating, and all of them originate from reliable providers like Rival, Real Time Gaming, iSoftBet, Makitone Gaming and Visionary iGaming. Banking is conducted through cards and Bitcoin, as well as through cheque and bank wire transfer. The newest additions to the Joe Fortune library are live dealer games: Blackjack, American Roulette, European Roulette and Super 6. Slotocash may be more known as a US-friendly brand, but it also gladly accepts Australian punters. This instant-play casino offers a 200% welcome bonus and 100 free spins. It sports a Curacao license and RTG software. Basically, Slotocash is a sea of marvellous slots, or should we say pokies, such as Lucha Libre 2, Bubble Bubble, God of Wealth and Eternal Love. Last but not least, FairGo Casino is a Deckmedia-powered site also themed on Australia – a koala bear is its mascot. FairGo boasts excellent bonus deals and a rich collection of pokie machines by RTG. Customers can fund their accounts with Neosurf prepaid card, MasterCard, Visa, bank transfer and Bitcoin. At FairGo casino, support is available 24/7 and Aussies can use a toll-free phone number to contact any of the agents. The current ban on online casinos has limited the choice of poker rooms for Australian gamblers. All the big brands like 888-casino, PokerStars, PartyPoker and Intertops have left the Australian online gaming market. However, Australian-oriented online casino sites hosted offshore have a few poker options up their sleeves. Even though Slotocash and FairGo Casino don’t have separate poker rooms, they do offer Caribbean Hold’em Poker, Caribbean Stud Poker, Caribbean Draw Poker and Tri Card Poker, among other options. They have notable collections of online video poker machines (with up to 52 hands) and help maintain the Australian poker community. The Australian Online Poker Alliance (AOPA) continues to work on pressuring the government to consider reforms that might allow the regulation of online poker. Until this happens, Australians will continue to enjoy the limited – but available – options on the web. Canadian Online Casinos. Which Ones Are Real and Legitimate? 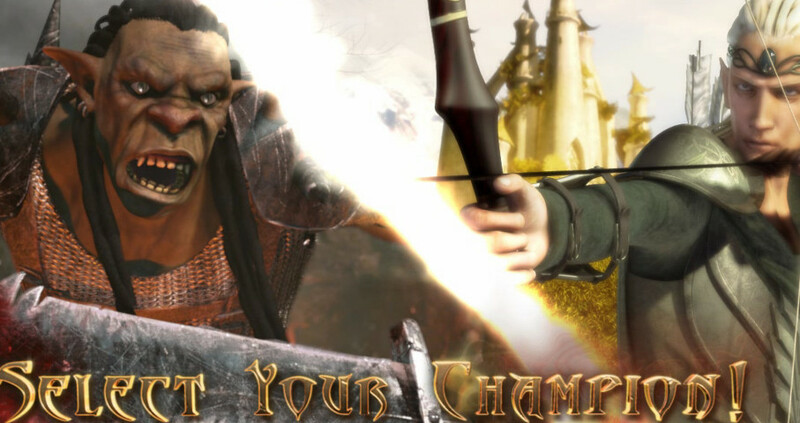 Top 10 Myths of Online Casinos… Debunked! Any Questions About Online Slots?